Location. 39° 17.937′ N, 75° 36.579′ W. Marker is in Smyrna, Delaware, in Kent County. Marker is on North Union Street north of West Commerce Street (Delaware Route 6), on the right when traveling north. Touch for map. Marker is at or near this postal address: 22 North Union Street, Smyrna DE 19977, United States of America. Touch for directions. Other nearby markers. At least 8 other markers are within walking distance of this marker. Home of Allen McLane (about 700 feet away, measured in a direct line); Site of Old Asbury Methodist Church (about 700 feet away); The Delaware House (approx. 0.2 miles away); The Gray Box Chateau (approx. 0.2 miles away); The Barracks (approx. ¼ mile away); Site of Green Pottery (approx. ¼ mile away); The John Cummins Mansion (approx. ¼ mile away); "First in the World" (approx. ¼ mile away). 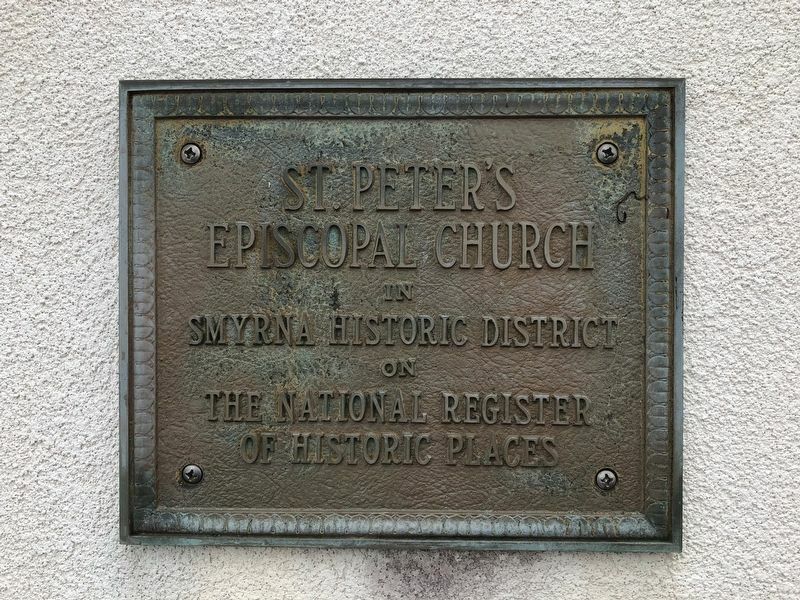 Touch for a list and map of all markers in Smyrna. More. 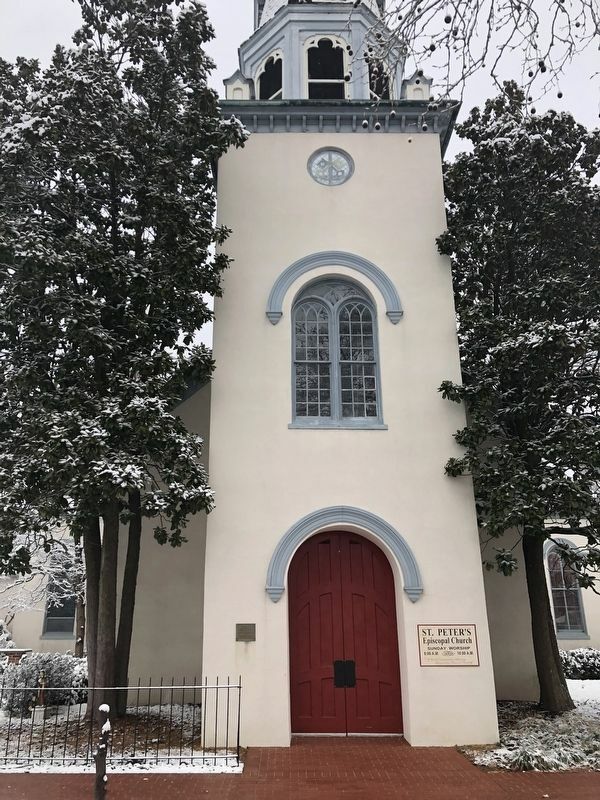 Search the internet for St. Peter's Episcopal Church. Credits. This page was last revised on March 1, 2019. This page originally submitted on March 1, 2019, by Devry Becker Jones of Washington, District of Columbia. This page has been viewed 43 times since then. Photos: 1, 2. submitted on March 1, 2019, by Devry Becker Jones of Washington, District of Columbia. • Andrew Ruppenstein was the editor who published this page.